History doesn’t repeat itself exactly. Analysts, like generals, use to fight past wars. Experience is indispensable, but it blinds to new developments. So it is in Lebanon. The previous civil war ran substantially along the Christian-Muslim line. Now, significant numbers of Christians and Druzes align with Shiite Hezbollah. Christians see better hopes in aligning with Muslim opposition against Sunni Muslim majority. Many are appalled by pro-American, anti-Syrian hard line of Saniora’s government. Hezbollah attracts others with honesty, non-corruption, determined strength, socialist welfare and egalitarianism, and anti-imperialism. The current standoff is not religious, but ideological. Hezbollah’s monopoly on opposition to pro-Western government should be ended. Israel has to foster an opposition competitor to Hezbollah. Any pro-Syrian, anti-Western, leftist, or Christian group would do. The point is not to make another South Lebanon Army, but to stop Hezbollah from being the center of anti-government gravitation. The West needs to evaluate the immediate causes of the civil conflict in Lebanon. They are: American disregard for the power realities and unthinking drive for democracy. There is no country named Lebanon; it is the land of Greater Syria. Multi-religious Lebanese society could never govern itself with modicum of stability. Spoiled by French hedonism, mainstream Lebanese urban types don’t want to defend their country against insurrection. Syria is Lebanon’s only hope for oppressive safety. Alternatively, the world has to accept partition of Lebanon into religiously homogenous enclaves and create oh-so-needed Christian buffer state, a lightning rod between Israel and Muslims. The Lebanese conflict was triggered by the US-imposed democratization, a much-touted Cedar revolution which brought Hezbollah to power in free elections. Hezbollah demands its legal right to have the government representation proportional to the election results. Saniora sticks to the correct, tribal, undemocratic arrangement of the religious groups’ quotas in government and parliament. The West pushed democratization enough to destroy the fragile Lebanese power equilibrium, but then stopped, stunned at the results. The West promised Israel to beef up the Lebanese army to rein in Hezbollah. Now the Lebanese army cannot even stop Hezbollah’s tire-burners. Lebanese government lacks political will or army’s support to crush Hezbollah. Israel licks PR wounds from the two Lebanese wars. American government just doesn’t understand what goes on. Syria is the only force that could control Lebanon. At least, Israel would have a weak conventional enemy, rather than guerrilla opponent hiding behind civilians. ao ler este tópico estava-me a lembrar do filme Kingdow of Heaven que se passa no século XII e que representa a (re)conquista de jerusalem por parte dos muçulmanos aos cristãos,exército esse comandado por Saladin. Isso faz-me pensar que quase 900 anos, a paz de facto parece elusiva,e sinceramente não estou a ver como vão resolver aquilo.Seja como for uma das partes vai ter que abdicar de uma parte dos seus territorios,para que um dia o conflito finalmente acabe. Tropas israelitas e libanesas trocaram ontem à noite tiros na fronteira israelo-libanesa, naquele que foi o primeiro incidente protagonizado por militares de ambos os países desde o fim do conflito do Verão passado que opôs o Exército israelita ao grupo xiita libanês Hezzbollah. O incidente anunciado pela rádio militar israelita foi confirmado por ambas as partes, que revelaram que a troca de tiros não causou vítimas. A Força Interina das Nações Unidas no Líbano (FINUL) já qualificou o incidente como “grave”. De acordo com fontes militares israelitas, a troca de tiros foi iniciada pelas tropas libanesas que abriram fogo quando uma escavadora do Exército israelita cruzou a linha de segurança entre os dois países para desminar a zona. Uma fonte da FINUL precisou que o incidente terminou por volta das 23h30 locais, quando ‘capacetes azuis’ da força interina das Nações Unidas foram destacados para a região. A força aérea israelita anunciou hoje a intenção de reforçar as operações aéreas sobre o Líbano na sequência dos primeiros incidentes armados entre militares israelitas e libaneses depois da guerra do Verão passado. «Vamos prosseguir os nossos voos e reforçar as nossas actividades aéreas sobre o Líbano», afirmou à rádio pública o general Alon Friedman, Chefe do Estado-maior do Comando da Região Militar Norte. O primeiro-ministro, Ehud Olmert, e o ministro da Defesa, Amir Peretz, deverão, por seu lado, proceder a consultas sobre o Líbano com responsáveis militares e membros do gabinete de segurança, anunciou a rádio. Os israelitas outra vez a armarem-se. Eles têm a mania que por ali fazem o que lhes apetece e que a UN que se cuide. Estão mesmo a pedir pa levarem com uma missalada em cima! The Lebanese army will use weapons seized from the Shiite group Hizbullah to fight Israel in case of any future violation of Lebanese sovereignty, Defense Minister Elias Murr said. The truck and its content are now with the Lebanese army in southern Lebanon ," Murr said in reference to a truck carrying Hizbullah arms -- including Grad rockets -- seized east of Beirut on Thursday. "If Israel carries out another violation, we will use these weapons to confront it," he told reporters on Friday after a meeting with the commander of the UN peacekeeping force in Lebanon, Major General Claudio Graziano. Murr said he told Graziano that "the Lebanese army deployed in southern Lebanon has orders to confront Israeli forces in case of any new violation" of Lebanese sovereignty. Lebanese and Israeli troops clashed across the border on Wednesday for the first time in decades, causing no casualties. The incident was sparked by Israeli sappers moving towards the border to clear unexploded ordnance. UN chief Ban Ki-Moon called for restraint, saying the clashes breached the ceasefire that ended Israel's devastating war against Hizbullah last year. Hizbullah senior official Mohamad Yazbeck reiterated on Friday that the seized truck was carrying munitions destined for his group's fighters and asked for the weaponry to be returned. "The security and judicial authorities should return the truck which was carrying arms for the Resistance from the (eastern) Bekaa to the south," he said at Friday prayers in the eastern city of Baalbek. The Resistance did not breach any agreement by transporting these arms ... in line with the 'ministerial declaration' of Prime Minister Fouad Siniora, which recognized the right to resist Israeli occupation," he said. "We are still in a confrontation with the enemy which continues to occupy parts of our land and continues to hold Lebanese detainees," he said. Lebanon claims sovereignty over the Shebaa Farms along the Lebanon-Syria-Israeli borders which Israel captured from Syria during the 1967 Arab-Israeli war and then annexed along with the rest of the Golan Heights. 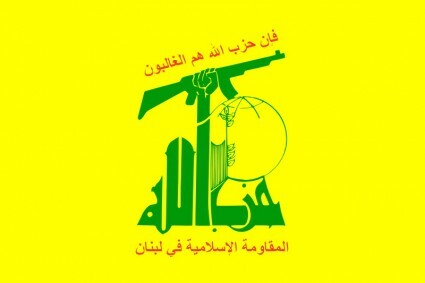 Hizbullah was the only armed group which was not asked to surrender its weapons after the country's 1975-1990 civil war because it was considered a "resistance group" then fighting Israel's occupation of Lebanese territory. UN Security Council resolutions have called for the disarming of all militias in Lebanon. Four types of Merkava tanks were in action in Lebanon 2006, including Merkava Mk4, the Merkava Mk 2D (with its distinctive sloped turret), the standard Mk2 (mostly with reserve units), and Merkava Mk3Baz. Towards the end of the fighting, Brigadier General Halutzi Rodoi, the chief of the IDF Armored Corps was asked to assess the performance of his tank force and especially the lessons drawn from the fighting against advanced anti-tank missiles fired by Hezbollah on the coveted Merkava Mk4, which saw its first combat engagement in Lebanon. According to General Rodoi, the Merkava proved to be well protected and designed to minimize the risk even when it was penetrated. Lebanon's Hizbullah organisation is mobilising its military wing, the Islamic Resistance (IR), in preparation for an expected new confrontation with Israel in mid-2007. New recruits are being pushed through an intensified training programme at the Iranian-backed group's training camps in the Bekaa Valley and a steady flow of arms, including surface-to-surface rockets, is coming into Lebanon from Syria, sources within Hizbullah, Lebanese military intelligence and other Lebanese close to the Shia Muslim party told Jane's. The preparations have been detected by Israel, which reportedly delivered a message through US House of Representatives Speaker Nancy Pelosi to the Syrian leadership in Damascus on 4 April assuring that no war against Lebanon or Syria is being planned. Hizbullah's build-up began immediately following the 14 August 2006 ceasefire, which ended the 34-day conflict between the Lebanese militants and the Israel Defence Force (IDF). The war yielded inconclusive results for both sides. Hizbullah was able to withstand the IDF's month-long onslaught, killing 119 IDF soldiers and launching an uninterrupted flow of rockets into Israel. However, Hizbullah lost its military autonomy along the Blue Line, the UN name for the Lebanon-Israel border, abandoning its elaborate network of fortified underground bunkers and firing positions to a reinforced 13,000-strong UN Interim Force In Lebanon (UNIFIL 2) and to some 20,000 Lebanese Armed Forces (LAF) troops. Israel failed to achieve its pre-war goals of securing the release of two IDF soldiers captured on 12 July 2006, which triggered the war, and of crushing the IR. The repercussions of the conflict have weakened the Israeli government and eroded the IDF's image of deterrence. Começou a ser divulgado o relatório da comissão encarregada de analisar este conflito, concluindo-se que Israel falhou em toda a linha. O actual governo deve ser o mais incompetente que dirigiu Israel desde a sua independência. No entanto é de louvar a capacidade de autocrítica da sociedade israelita, o que é absolutamente indispensável à sua sobrevivência. Também os países ocidentais, Portugal incluído, devem analisar cuidadosamente este conflito, para evitar cometer os mesmos erros, o maior dos quais será por um lado ignorar a guerra que o fundamentalismo nos declarou e por outro ser arrogante e subestimar o adversário. Um alto representante do Hezbollah disse domingo que o grupo militante tem uma lista de alvos militares dentro de Israel para atingir numa futura guerra. O comandante do Hezbollah no sul do Líbano, xeque Nabil Kaouk, falava em resposta à divulgação pelo exército israelita, na quarta-feira, de mapas e fotos aéreas do que descreveu como uma rede de depósitos de armas e centros de comando do Hezbollah no sul do Líbano. O material israelita incluiu mapas detalhados e simulações em 3D mostrando edifícios que, segundo os militares, são depósitos de foguetes, alguns perto de escolas e hospitais. O comandante do Hezbollah disse à agência de notícias estatal que os líderes israelitas estavam a tentar restabelecer a sua confiança ao mostrar uma lista de alvos no sul do Líbano «após a opinião pública israelita ter perdido a confiança no exército». Kaouk notou que o anúncio de Israel veio no aniversário da sua «derrota» na guerra de 2006, na qual o Hezbollah entrou em confronto com Israel num impasse, matando 1.200 libaneses e 160 israelitas. Apesar de a fronteira entre os dois países estar calma nos últimos quatro anos, Israel e o Hezbollah trocaram ameaças nos últimos meses. Durante a guerra de 2006, que começou após o Hezbollah capturar dois soldados israeitas num ataque cruzando a fronteira, Israel lançou uma campanha massiça por mar, terra e ar, enquanto o Hezbollah lançou cerca de 4.000 foguetes contra o território israelita. A guerra terminou com uma resolução da ONU que impôs um bloqueio em armas destinadas ao Hezbollah e proibiu o grupo de operar perto da fronteira israelita. Israel alega que a resolução e as forças de paz internacionais no Líbano têm sido amplamente ineficientes e acredita que o Hezbollah ampliou o seu arsenal para mais de 40 mil foguetes. O líder do Hezbollah, xeque Hassan Nasrallah, disse que o grupo agora pode atingir qualquer parte de Israel. O Senhor Mahmoud está no Líbano. Reconheça-se que o homem tem cojones de titânio, a desfilar bem ao alcance de esquadrilhas de drones yankee-israelitas e da Mossad infiltrada. O desafio aos "zionistas" foi bem assumido na recepção calorosa que os amigos do Hezbollah e seus apoiantes lhe concederam. É que Mahmoud traz consigo, além da força anímica (em futebolês) também muito dinheiro para apoiar a população do estado martirizado por Israel, reforçando a posição dos radicais muçulmanos. A digressão de Ahmadinejad, o Terrível, irá incluir um passeio fronteiriço a cerca de 4 quilómetros do limite territorial libanês com Israel. Os guardas fronteiriços israelitas vão ter que engolir estas bonitas imagens especialmente dedicadas. Israel não tem condições de derrotar o Hezbollah num confronto directo, e se explodisse uma guerra o grupo guerrilheiro libanês infligiria danos pesados na frente israelita, disse hoje um ex-assessor de segurança nacional de Israel. Apesar da sua inferioridade em combatentes e armas, o Hezbollah bloqueou o avanço das forças armadas de Israel na guerra de 2006 e disparou mais de 4 mil foguetes contra território israelita. O grupo possui uma base de poder no Líbano e, depois disso, reforçou o seu arsenal, descrito por Israel como ameaça estratégica. As tensões de Israel com o Irão e a Síria, que dão apoio ao Hezbollah, têm vindo a alimentar a previsão de retomada da violência no Líbano. «Israel não sabe como derrotar o Hezbollah«, disse Giora Eiland, um ex-general do Exército que foi assessor de segurança nacional dos ex-primeiros-ministros Ariel Sharon e Ehud Olmert. «Por isso, uma guerra travada unicamente entre Israel e o Hezbollah poderia infligir danos enormes ao Hezbollah, mas o Hezbollah infligiria danos muitíssimos maiores na frente doméstica de Israel do que fez há quatro anos e meio atrás», disse Eiland à Rádio Israel. Fazendo eco das palavras das actuais autoridades israelitas, Eiland acrescentou: «A nossa única maneira de evitar uma próxima guerra, e de vencê-la se mesmo assim ela acontecer, será deixar claro a todos que uma outra guerra entre nós e o Hezbollah será uma guerra entre Israel e o Estado do Líbano e será altamente destrutiva para o Estado do Líbano». «Como ninguém - incluindo o Hezbollah, os sírios ou os iranianos - está interessado nisso, esta é a melhor maneira de criar uma dissuasão eficaz», salientou. Com a excepção de uma escaramuça letal ocorrida em Agosto entre forças israelitas e o exército libanês regular, a fronteira entre o Líbano e Israel tem estado tranquila, de maneira geral. No entanto, os israelitas estão atentos para possíveis sinais de que o Hezbollah, se for citado num indiciamento da ONU pelo assassínio do ex-primeiro-ministro libanês Rafiq Hariri em 2005, reaja consolidando o seu poder em Beirute. O ministro da Defesa israelita, Ehud Barak, argumenta que, se o Hezbollah assumir um papel de governante no Líbano, tal fará do país um alvo justo em qualquer guerra futura envolvendo a milícia xiita. Eiland disse que tal cenário faria «o mundo inteiro começar a clamar por um cessar-fogo depois de dois dias», algo que seria mais do interesse de Israel «do que ter de lidar directamente com cada um dos 40 mil foguetes (que se estima que o Hezbollah possua)». Israel começou hoje a construir um muro de mais de um quilómetro de comprimento na sua fronteira com o Líbano, na direcção da localidade israelita de Metula, anunciou o exército. "Esta construção que começou hoje é feita em coordenação com a FINUL (Força Interina das Nações Unidas no Líbano) e com o exército libanês. O muro visa evitar atritos na fronteira", explicou à agência France Press uma porta-voz do exército. A rádio pública precisou que o muro de vários metros de altura visa evitar tiros na direção de Metula a partir do Líbano e que a sua construção vai durar várias semanas. O exército israelita anunciou o projecto em Janeiro, adiantando que o muro protegeria edifícios recentemente construídos em Metula de tiros a partir da localidade libanesa de Kfar Kila, situada a um quilómetro. Israel e o Líbano estão tecnicamente em guerra, mas os responsáveis militares dos dois países encontram-se regularmente sob os auspícios da FINUL para discutir problemas na fronteira. Em 2006, uma breve guerra, mas sangrenta, opôs Israel e o movimento xiita libanês Hezbollah, que controla a região fronteiriça. Os traficantes de armas no Líbano.